We are glad that you found us, we don't get many original animal skull submissions, and sometimes I forget the diversity of skulls there are in the world. Thank you for taking the time to submit your work on your first day. 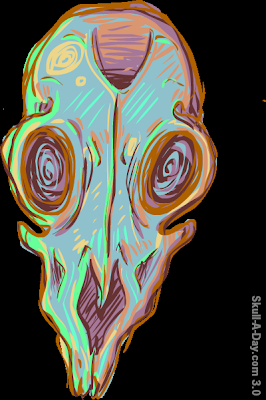 ♫ ♪ Today it occurred to me, What a long, skull trip it's been. ♪♫ As many of you already know today is the final day of year 3.0, and by coincidence I was also the one who posted the first submission of the year. 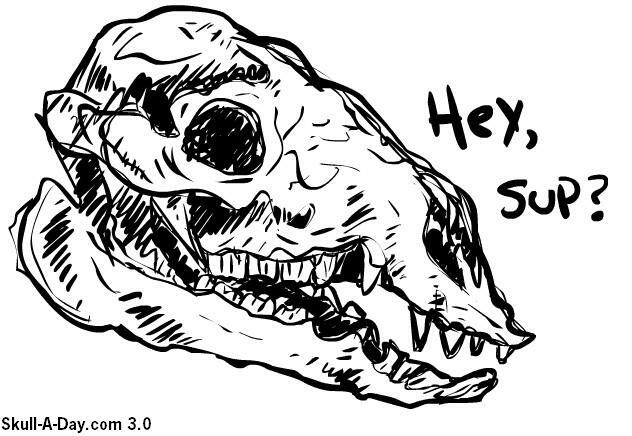 In case you forgot, it was also a skull with an animal theme, but done in a very different way. Thanks once again to all of you who submitted, read, commented, and liked the last 365 days. Tomorrow we begin year 4.0 with another 365 days rich in skully goodness ahead of us so stick around and enjoy.